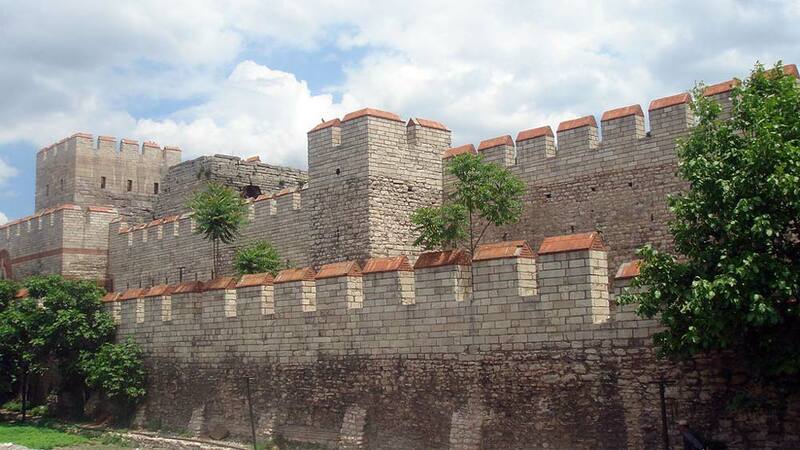 The Walls of Constantinople are stone walls that were built to protect ancient Istanbul, which was called Constantinople. 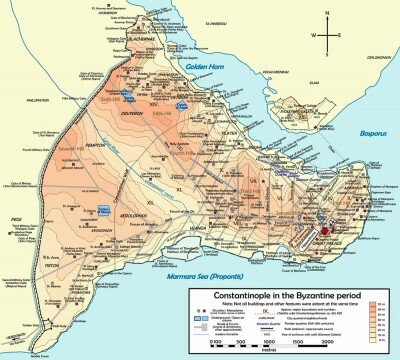 Constantine the Great was responsible for the construction of the walls. They were designed to protect the city from attacks that occurred from land or sea. The walls were made to withstand intense attacks, and they stood intact for hundreds of years. Parts of the walls started to crumble in the 19th century as the city outgrew its medieval boundaries. Today, when guests visit the walls, they will notice that most of the walls survived throughout the years and are still standing. The walls have undergone a major restoration program throughout the last 20 years. Today tourists will be impressed by what they see. The restoration program helped restore the walls to their original appearance, which means that guests will be able to get a glimpse of how the walls originally looked. In order for guests to get a good idea of just how huge this place is, they should expect to spend between 15 to 30 minutes walking around the area. Guests should also be prepared to walk up and down many steps. You should also bring a camera because there are a lot of areas that offer tourists gorgeous views of the surrounding area. If you want to get the best view of Istanbul, then you will want to climb to the top of the walls. It does not cost money to climb to the top of the walls. The site is open daily from 9 AM to 6 PM. No matter what day of the week it is, you can expect to see quite a bit of people. This is because the walls are a very popular tourist spot. Although it can take a person around 15 minutes to walk around the area, it is recommended to spend an hour or two at the site. This should be plenty of time to take in all of what the walls have to offer. There are numerous ways to get to the walls. Tourists can take the tram to the site or they can drive and park at one of the designated parking spots located in the area. Some people also choose to take a taxi to the site. Regardless of which method of transportation you choose to take, you will find that the Walls of Constantinople are easily reachable and worth visiting.